Before we get into how to get rid of grubs in your lawn or garden, we should first take a look at what a grub is and why they are destroying your lawn in the first place. Grubs – also called white grubs, grub worms, or lawn grubs – are the larvae of scarab beetles, such as Japanese beetles and June bugs. The basic cycle consists of beetles laying eggs in late summer and fall, those eggs hatching into larvae that burrow into the soil and survive on organic matter (like roots) through winter and spring, and then the larvae entering the pupal stage and maturing into beetles to leave the soil in late June. Then, after dining on foliage for the summer, the new beetles lay another round of eggs, and the process starts over again. A large grub population can decimate a vegetable garden, flower bed or natural grass lawn, but most serious grub issues that homeowners deal with have to do with their lawns. While a small population (fewer than five grubs per square foot of soil) is generally not an issue and will not destroy your grass, a population of 10 or more grubs per square foot can cause significant damage. The damage caused by grubs is largely due to their diet, which consists primarily of grass roots, as well as other organic matter in the soil. As they eat the roots of your grass, they destroy the root system, which means your grass will not get the water and soil nutrients it needs to stay healthy. This will lead to patches of grass that are brown, dead and easy to pull out of the ground. A significant grub population can also lead to lawn, flowerbed, and garden destruction indirectly as birds, raccoons, and other grub-eating critters tear up your lawn or garden to get to the grubs. How Do I Know if I Have a Grub Problem? Most homeowners discover they have grubs in their flowerbeds or vegetable garden when they are digging the soil for spring planting or fall garden cleanup. For folks who find grubs in their lawns, most discover the issue while investigating oddly shaped, brown patches of grass in one or more areas of their lawn. These patches are most often found in spring or in late-summer and early-fall, which are the seasons when grubs are most active. During the winter, grubs burrow deeper into the ground, and then move back to the top few inches of soil in the spring to eat and become pupae to emerge as beetles in early summer. Alternatively, homeowners may discover their grub problem after they notice that racoons or birds are tearing up their lawn and that what they are uncovering are not run-of-the-mill earthworms. In some cases, you may notice sections of your lawn that feel spongy. This can be an early sign of a grub infestation that may appear before brown patches develop. If you suspect that you may have a grub problem in your lawn, the easiest way to investigate is to try to pull up the brown patches of lawn. If they easily lift or peel away from the soil, this means that the root system has been damaged, and you likely have grubs. Since this area of your lawn is already damaged, go ahead and remove some of the patchy grass so that you can dig down into the soil. In the winter, the grubs will be deeper in the ground, but in the spring, late summer or fall, they will be in the top few inches. Dig up about one square foot of turf in a few areas to see how many grubs you have per square foot. If your lawn is otherwise healthy, it should be able to sustain a population of nine or fewer grubs per square foot. If your lawn is not in optimal health, it can only sustain a population of five or fewer grubs per square foot. This means that if you have a population of five or fewer grubs, you do not need to treat it, but if you have population between six and nine per square foot, you will need to consider the overall health of your lawn when determining whether you need to treat it. If you have visible damage and a population of 10 or more grubs per square foot, you will need to treat your lawn to avoid additional damage. While most lawns can survive with a small population (fewer than nine per square foot), you may want to treat it anyways if animals are digging you your yard trying to get to the grubs. Bonus Tip: Keep an eye on your neighbors’ lawns. 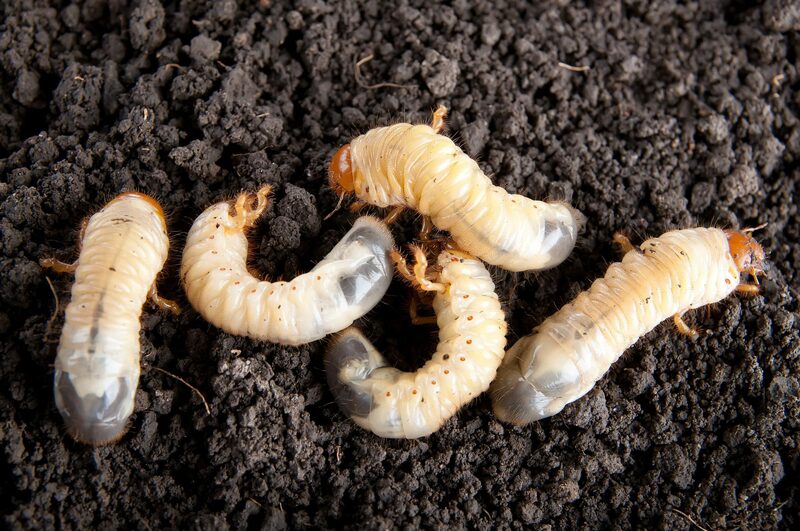 If you do not think you have a grub problem but it looks like they might, you may want to take preventive measures to avoid their grub problem moving onto your property. If you decide to treat your garden beds or lawn for grubs, it is best to introduce the treatment to the soil in mid- to late-summer or early fall. During this time, the grubs will be newly hatched and will be near the surface and beginning to feed. During the winter, they burrow deeper into the soil, and during the spring they are in the pupal stage, and then move into the imago stage, which means most treatments will be far less effective. Many beetles return to the same area to lay eggs each year so, if you have a large population, it may take a few years to get it under control through treatment. It is often best to try natural treatments before moving up to pesticides that may introduce toxins into the groundwater or affect the health of your family, your pets, bees, or other local wildlife. So, let’s look at some home remedies for grubs and natural ways to get rid of grubs. 1. Encourage birds to hang out in your yard. Birds love to dine on grubs, so if you do not mind birds digging around in your flowerbeds or lawn, invite more of them to hang out in your yard. You can attract birds with bird feeders, bird baths and bird houses. To learn more about attracting birds to your yard, read Learn the Secrets of Attracting Birds to Your Backyard. If you dig up grubs, you can also scatter them on top of the ground to encourage birds to eat them. Just know that any that are not snatched up by hungry birds will burrow back into the soil. If you have backyard chickens, you have a ready-made, natural grub treatment that can be quite effective. 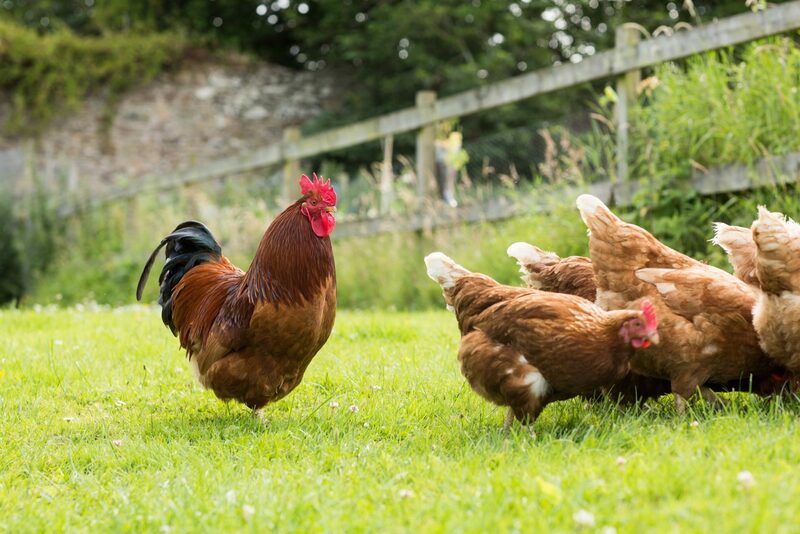 Turn your chickens loose in your yard, and they will be more than happy to dig up grubs and eat them all day. Keep in mind that the process of digging for grubs is great for soil that needs to be worked but can destroy a flowerbed if left unchecked. You can also dig up the grubs yourself and toss them in your coop to give your chickens a treat. White grubs require moisture to thrive, so one easy way to shrink the population is to avoid providing them with that moisture. This is not always possible, since they can be found in vegetable gardens and flowerbeds where we want to maintain their visual appeal or in lawns that require more water during the critical summer-fall period where grub treatments are most effective. However, if you have a grass lawn that can go dormant in the summer and recover once water is re-introduced, you could take this opportunity to kill some grubs while also conserving water and lowering your summer water bills. Grub relocation can be tricky, but if you have a spot in your yard where you do not mind them eating the roots of weeds or other plants, you can dig up your grubs and relocate them away from your lawn. 5. Treat with milky spore. Milky spore is a bacterial disease that primarily affects white grubs that will become Japanese beetles. 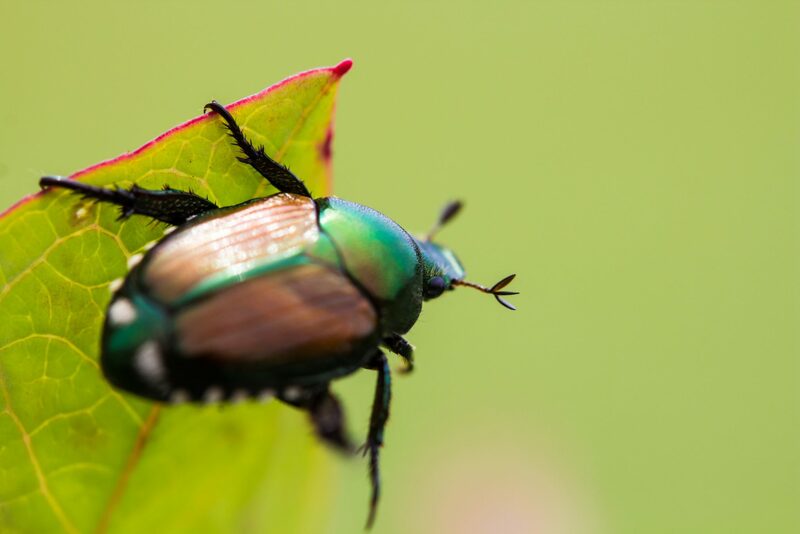 Japanese beetles are among the most common culprits when grub populations are found in Southern California lawns and gardens; however, it is difficult to identify which type of grubs you have, and milky spore is only going to help if yours happen to be Japanese beetles. 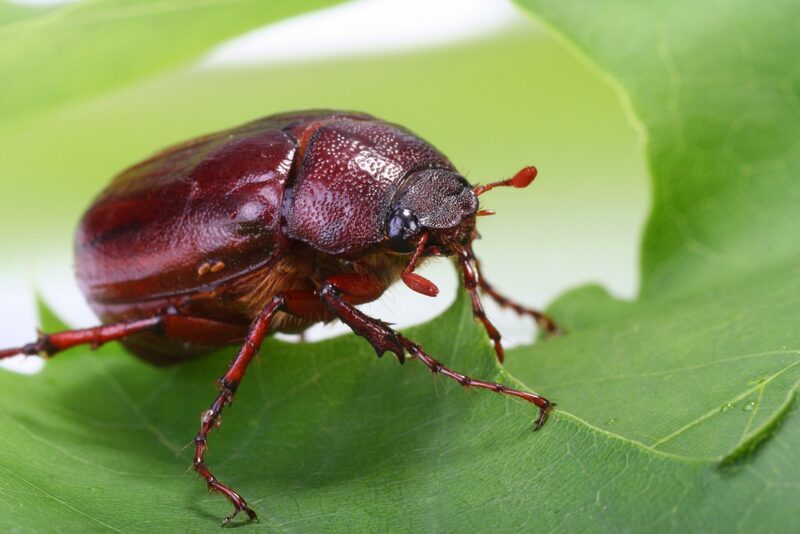 Even if you are not sure which type of grubs have invaded your lawn, you may want to use milky spore as a preventive treatment that will help if any Japanese beetles show up. You usually need to apply this treatment a couple of times a year for two to three years, but once you go through this process, it can continue to act as a biological control for grubs for 10 to 15 years. Milky spore is an eco-friendly, natural, non-toxic option, which makes it a great place to start. If you choose to use milky spore, simply follow the instructions on the package. You may also want to purchase an inexpensive Milky Spore Lawn & Garden Dispenser to make it even easier to apply this powder to your lawn or garden beds. Nematodes are tiny, parasitic worms that can eradicate all sorts of garden pests, including grubs. They are often used in conjunction with milky spore and offer an organic, safe way to get rid of grubs that will not harm your family or pets. Because nematodes are living creatures, it is important to purchase them from a reputable retailer and to ensure that you are purchasing containers that are marked with a future expiration date. They are microscopic, so you cannot rely on your ability to see if they are alive once they arrive. You will want to apply them to your lawn or garden soon after their arrival (or soon after you get them home, if purchasing locally). You will also want to avoid allowing the worms to be in direct sunlight, since even a short time in direct sunlight can render them sterile. To distribute them in your yard, you simply follow the directions on the package to mix the worms with water, and then use a watering can or Nematode Hose End Sprayer to distribute them over your grass or in your garden beds. You will likely need to introduce a new batch of nematodes into the soil once or twice each year for a few years to establish the population. If eco-friendly, organic gardening is your thing, you probably already have neem oil in your garden shed. This natural pest repellent works wonders on keeping all sorts of garden pests at bay. If you spray neem oil on your lawn at night during egg-laying season, it can keep beetles from laying eggs in your soil, which makes this a great preventive measure. Azadirachtin, which is made from neem seeds, is also used as a natural grub killer, which can be sprayed on your lawn to both repel beetles and kill grubs. There are several natural pest repellents – like the above-mentioned neem oil – that can be used as a preventive treatment. Treating your lawn or garden with one of these repellents assists in keeping beetles away from your yard so that they will not lay eggs that will soon hatch into larvae. If you are interested in making a homemade grub killer or repellent, you may already have most of the ingredients in your pantry. For example, one popular homemade grub treatment mixes dish soap, lemon juice, and mouthwash with water in a spray bottle that you can then spray on your lawn to repel beetles. Other options include mixing garlic and water or chili peppers and water to create a pest repellent spray. While this trick can help keep beetles from laying eggs in your soil, it requires you to know when to spray it for maximum effect. Since beetles typically lay their eggs during the summer but it can vary depending on location and weather, you may find yourself treating your lawn repeatedly in hopes of holding the beetles at bay. 9. Make a homemade grub killer with borax. Before you consider making a homemade grub killer using borax, it is important to note that borax contains boron, and too much boron will kill your grass. If you use a borax grub killer repeatedly on your lawn or in flowerbeds or garden beds, the boron will accumulate in the soil and nothing will grow. So, this option should be used sparingly, if at all. If you choose to use borax, the simplest recipe is to add one tablespoon of borax with warm water in a spray bottle. Then, use the spray bottle to distribute the borax-water solution on areas where you have found grubs. You will need to repeat this treatment until you have eradicated the grub population, so remember the part about boron accumulating in the soil over time before you choose this option. Other recipes for borax grub killers include mixing onion, peppers or garlic in the warm water with the borax. Leaving a good layer of thatch can be beneficial to your lawn in other ways, but if you are having pest issues and want to get rid of grubs naturally, dethatching is an important part of the process. A thick layer of thatch provides a welcome environment for laying eggs and offers shelter to grubs, so removing it will make your lawn a less-welcoming environment for beetles and grubs. A thick layer of thatch will also prevent treatments from effectively penetrating the soil, so it is best to dethatch your lawn prior to applying milky spore, nematodes, or other natural solutions, as well as harsher pesticides. Grubs live in the top few inches of soil in late summer and fall and return to the top few inches of soil to enter the pupal stage in spring. This means that aerating your lawn during these times can injure or kill grubs living near the surface of the soil. 12. Replace your lawn with artificial grass. Artificial grass is not a natural product, but it is worth adding to this list because it is an effective option that requires no toxic pesticides or repeated treatments. Replacing your natural grass lawn with synthetic turf is a sure way to keep a grub population from taking hold in your lawn and destroying it. Plus, you can enjoy a lush, green lawn throughout the year that looks, feels and functions like natural grass without grub problems or the mowing, watering, weeding, aerating, edging, fertilizing and other tasks that are required to maintain a healthy, natural lawn. If getting rid of grubs naturally is not working or you simply want to start with stronger pesticides, it is important to understand the potential effects on groundwater, bees, other wildlife, your pets and your family. To better understand how the use of grub control products can affect bees and other pollinators, we recommend reading Grub Control in Lawns: Neonicotinoids and Bees published by the Center for Agriculture, Food and the Environment at University of Massachusetts at Amherst. For best practices in effectively using pesticides that target grubs, we recommend reading How to Choose and When to Apply Grub Control Products to Your Lawn published by Michigan State University Extension. This article also includes a section on protecting bees and other pollinators when using potentially harmful pesticides.